Center parts look better when you provide quality hair care. In recent years, the trend has moved toward using a side part to soften the face, while other hair styles eliminated the part altogether. Today, it’s becoming more popular to part the hair straight down the middle instead. 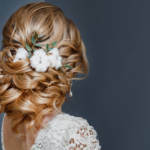 Many of the latest runway styles at fashion shows have sported this part, making it clear a center part is becoming a popular option for those who wear wigs, as well as those who choose other methods of creating the hair they’ve always wanted. Along with quality hair care, this trend should continue to grow. Instead of parting your hair down the center from your forehead to the back of your head, consider stopping in the middle of your head. This can give you the trendy look without the same severity as a full part. Teasing the hair near the back of your head can give it an extra lift for a great look. A great hair style no longer requires a clean, sleek look. Even if you use hair products for remy hair that keep your hair looking smooth, you can enjoy this fun look for just about any occasion. Secure your hair into a ponytail at the base of your neck and let the flyaways and frizzies shine. You don’t have to worry about giving your hair a smooth look. With the part and the slightly messy look, you’ll be ready for any casual event. While straight hair was once the preferred accompaniment to a side part, today’s hair styles require a little more. Instead of leaving your hair hanging straight down from the center of your head, add a little curl or some bends to the hair near the bottom. 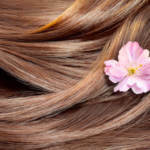 As long as you know how to care for a wig or hair extensions, you can safely create these looks without causing damage. A side part no longer requires long hair to look chic and fashionable. You can even wear this style with a shorter hair style, particularly when you are wearing a short wig. Tucking the hair behind your ears will give you a more casual look. Volume and texture are important to pull off a look like the side part. While a slicked-back look may be your goal, many styles do better with added volume and texture. Whether you use a wig or hair extensions to achieve this look, you will quickly pull off an amazing middle part. The center part has quickly become more popular than the older trend of using a side part to soften the face. While this look doesn’t work well for everyone, there are many hair style options you can use with a center part as well. As long as you exercise quality hair care, your options are limitless. If you want to learn how to care for a wig or other artificial hair pieces, contact us. We offer the resources you need to take great care of your hair.